Car, truck, van and SUV owners want their vehicles looking and running great. You can be a hero and help them with the AutoZone Gift Card. Anyone who owns a vehicle will be glad to get it. AutoZone has over 4,200 stores in the United States and Puerto Rico, so no one will have a problem finding the nation's leading retailer of the parts, products and expert advice they need to keep their vehicles looking and running great. National Gift Card is the best place for you to order ACME Markets gift cards in bulk. We are the experts in all things gift cards and can set up your gift card solutions program for you today. Please contact us for more information on ACME Markets bulk, direct-to-recipient, or individual gift card fulfillment for your gift card program. Contact us here or call us at 888-472-8747 today! 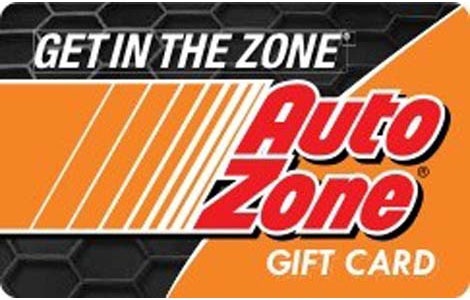 The AutoZone gift card is good toward the purchase of merchandise at any AutoZone store in the United States and Puerto Rico. This card may not be redeemed for cash or applied as payment on any accounts unless required by law. You may check your balance at any U.S. or Puerto Rico AutoZone store. AutoZone is not responsible for lost, stolen, physically damaged or destroyed gift cards, or for gift cards used without your permission. Use of this Gift Card means you accept these terms and conditions outlined above.